Chapter 1 examines the threats to the planet’s health through the lens of the human energy system known as the chakras, describing how the broken first chakra relates to our disconnection from our biosphere. Chapter 2 shows how our current environmental crises—global warming, climate change, dwindling water resources, natural disasters such as wildfires and hurricanes—represent severe manifestations of our disconnection from the earth. 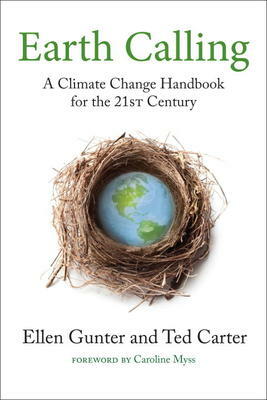 Chapter 3 describes how the preponderance of oil in our culture—especially agribusiness—compounds this disconnection, from our dependence on other countries for our energy, to current issues of oil depletion, peak oil, and fracking, to the dumbing down of our agricultural polyculture. Chapter 4 explains how the most basic building blocks of our nourishment—seeds—are being compromised with a loss of biodiversity and rise of GMOs, and how that adversely affects the farmers whose sacred connection to the land has in many cases been severed. Chapter 6 looks at stories of how people are responding to their inner callings with generosity, innovation, and dedication—exactly the traits our nations and our planet need now. Earth Calling is published in the Sacred Activism Series. Chapter 6 looks at stories of how people are responding to their inner callings with generosity, innovation, and dedication--exactly the traits our nation and our planet need now.